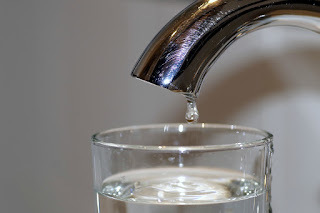 I wasn't really thinking about water this week until I heard a news report on the radio which suggested that people should reduce their water usage from 140 litres per day to 100 litres. Well, I had no idea how much water I used per day, but as it happened, we had just received our water bill. I did a quick calculation, looked at the figure, and thought, "That can't possibly be right!" I checked my conversion, checked my arithmetic, and finally looked up 'average household water usage'. Of course. The 140-litre figure I had in my head was per person; we were pretty close to the average household figure, at around 350 litres per day. But... 350 litres? Every day? That's 35 buckets full! Imagine if I had to carry all that from a well! That short news report has made me a lot more aware of how much water I'm using. I don't feel like I've done much to change that yet, but it's certainly something to think about. 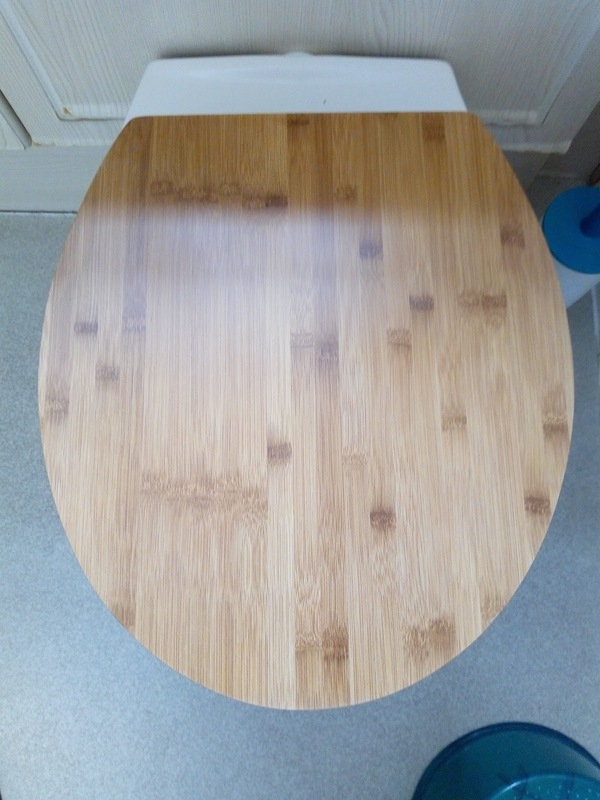 Install a bamboo toilet seat. Actually I did this last week, but it fits this week's topic, so I'm co-opting it! Ideally, of course, we buy as little as possible (see tomorrow), but I think this is an example of buying a Good Thing. The old seat was broken and disgusting. It was well overdue for replacement. This looks so much better, will hopefully last many years, and is made of bamboo, which is meant to be more sustainable than wood. Watch The Story of Stuff. It's a pretty simple animation (sometimes simplistic), but it's a useful reminder of how geared up our society is to keep buying more and more stuff. And so much of it goes through our lives and into the dump in an alarmingly short period of time. Clean with bicarbonate of soda and vinegar. 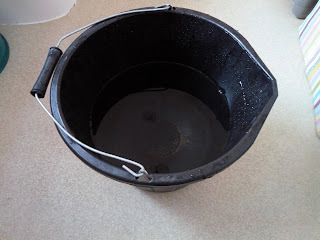 Plenty of websites will tell you that these two chemicals are amazing for cleaning ANYTHING. From my chemist's viewpoint, they're a mild alkali and a mild acid, which is fine but not necessarily amazing. I'm ashamed to admit that our kettle never actually has been descaled, so I gave vinegar a go as a descaling agent. It definitely helped a bit, but it didn't take all the scale off; maybe I'll give it another try. 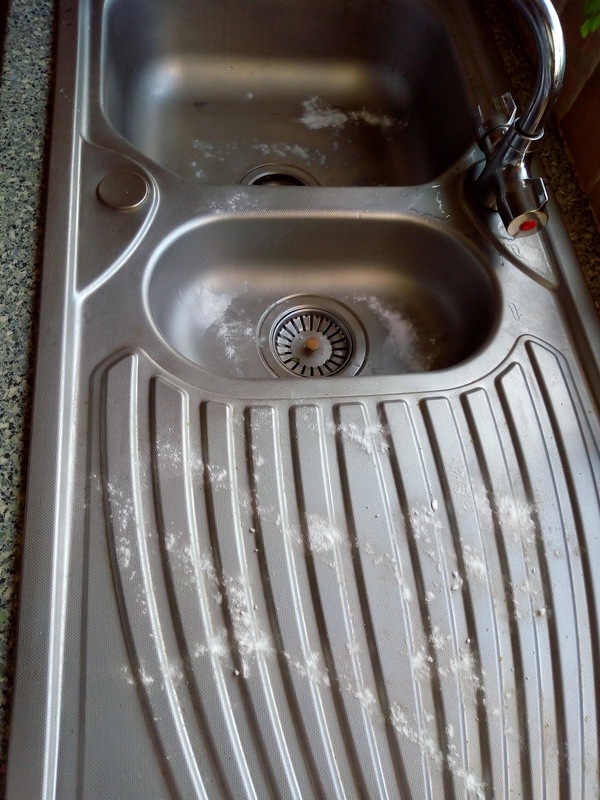 I also read that you can scrub a kitchen sink with bicarb. Presumably it's being a mild abrasive in this case, as much as anything else. 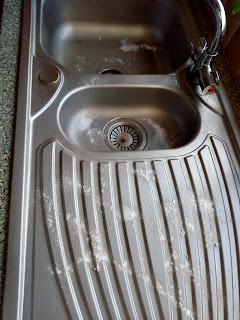 The sink looked better afterwards, but it seemed like I used quite a lot of bicarb, and it's not particularly cheap. I'd be tempted to save the bicarb for baking, and use plain water and a scrubbing pad if I was trying to avoid cleaning products. The magic numbers for showers appear to be: a flow rate of 8 litres per minute or less, and a shower length of 4 minutes or less. I'm pleased to say that mine was bang on target in both respects. That doesn't leave me much to improve on, but it was encouraging, anyway. I also discovered that our local water supplier will send you free gadgets to reduce the shower flow or time your shower, so if I'd needed either of those I could have got them from Severn Trent. Help with Waste Week show and tell. Look! 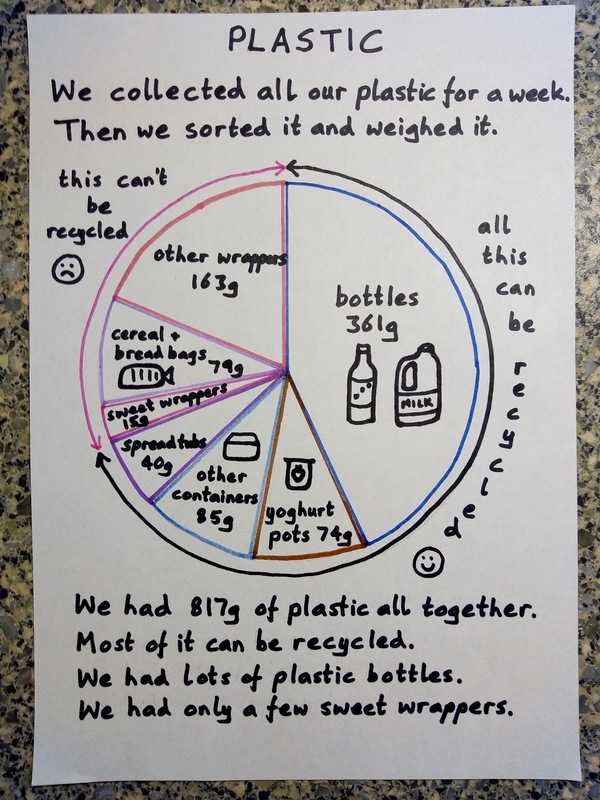 I got to draw a pie chart! The boys' school was doing Waste Week this week. 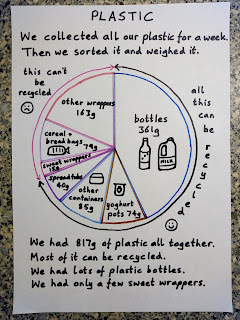 Not only did I send some of our recycling off to them to use for junk modelling, I was also able to do slightly better for Theo's Show and Tell than last week (when I shoved a toy spider into his hand as he was walking out of the door). I have no idea what he actually said about it, but at least it looked pretty. Look up green energy providers. We already have solar panels on our roof, so changing our energy supplier hadn't been a top priority for me. A quick poke around, though, suggests that green energy tariffs are now comparable to the standard ones. Our current fixed-rate deal runs out in a few months, so I'll have another look then and see if we can move towards renewable energy. This is a fairly recent article listing the main suppliers. This week seems to have been more about information than actual changes made. In some ways that makes me feel like I'm not achieving much, but on the other hand I'm finding out a lot that I didn't know. And I thought I was reasonably well-informed! I'm appreciating the way that this Lent challenge is forcing me to keep thinking about environmental issues - and it's sparked some conversations, too.